Keswick Green is a brand new apartment building in South Edmonton. 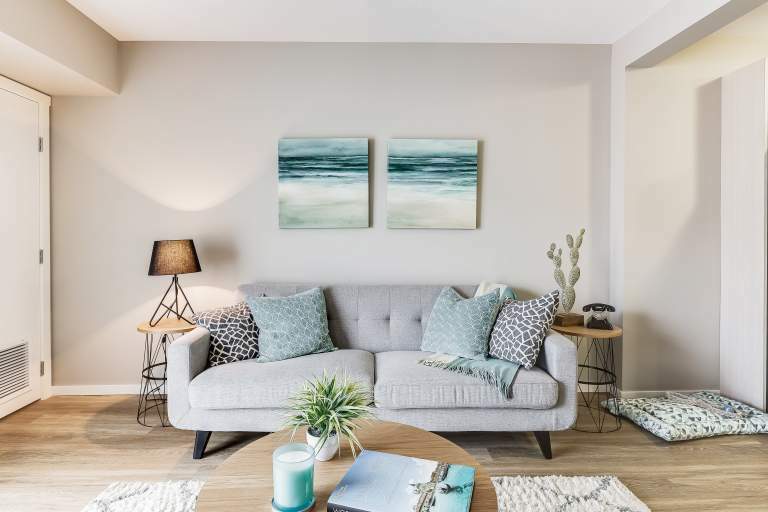 Offering 1, 2, and 3-bedroom, pet friendly apartments for rent, this modern building also features catered amenities including a fitness centre, community lounge, a dog wash and run, and underground parking. Suites feature full size appliances including washer and dryer and large walk-in closets. In addition, on-site management and maintenance, as well as a 24/7 client support team, are just a call away. Keswick Green is close to grocery stores, golf courses, and recreation facilities. Living at Keswick Green provides convenient access to Anthony Henday Drive and Century Park LRT Park N'Ride so you are connected to the entire city. Move in with Broadstreet and experience the best apartment living in South Edmonton. We know that pets are an important part of your family, so Broadstreet Properties is pet friendly and we welcome up to two pets, which include cats and dogs only. To maintain a safe environment for our residents, all pets must go through a pet interview for approval. As a pet friendly community, we strive to provide an environment where your pets feel at home. Broadstreet guarantees a sanitary and welcoming atmosphere by providing treats in our offices and pet waste stations at all of our locations. We also have dog runs and pet washing stations at select locations. In addition to breeds restrictions in local by-laws, the following purebreds or mixed breeds are not allowed in our suites: German Shepherds, Pit Bulls, Staffordshire Terriers, Doberman Pinschers, Rottweilers, Chow Chows, Presa Canarios and Boxers. Pet owners must assume full responsibility of their pets at all times. All our parking stalls are powered, numbered, and assigned. Stalls may be rented, and are subject to availability. You will receive a hang tag to be placed on your rear-view mirror or a pass to be placed on your dashboard. The tag/pass must be visible, and vehicles must be in their assigned stalls. Overnight guest vehicles must be registered and parked in visitor stalls with visitor passes displayed. Contact our Client Care Centre for after hours visitor passes.